The history of Kyrgyzstan begins from the ancient times. A lot of archaeological finds - caves, ancient sites, petroglyphs, tools and other traces of material culture make it possible to present pictures of the ancient people’s life on the territory of Kyrgyzstan in full. The first state formations on the territory of modern Kyrgyzstan appeared in the II century BC., when the southern, agricultural areas of the country became a part of the Parkan state. 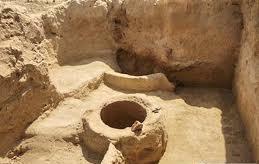 The first records of the tribes and peoples belong to the middle of the 1st millennium BC. The first evidences relating to the territory of modern Kyrgyzstan are in the sacred book of Zoroastrianism "Avesta" and in the writings of Herodotus. In the Persian written sources the tribes were called "Saki", and the Greeks called them "Asian Scythians." The archeological locations of the epoch of the Saks are presented as burial mounds and inscriptions on the rocks - petroglyphs. 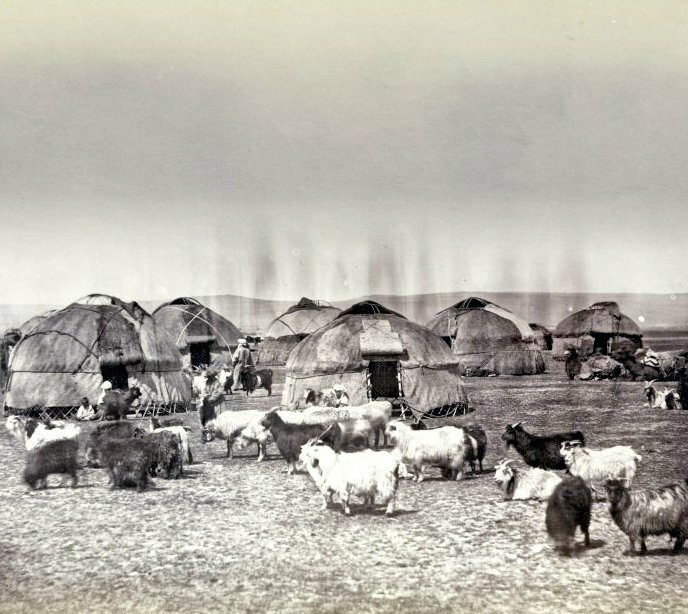 Most of the Saks were pastoralists and nomads. The Saks united in tribal associations, which disappeared in the III century BC. The period from the III century BC. to the VI century AD. is the epoch of the Uysyn. The tribes of the Uysyn formed the tribal alliance with the capital, located on the southern shore of the Issyk-Kul Lake. The caravan route passed through the territory of Kyrgyzstan, the trade goods from East to West were transported. In Europe it was called the Great Silk Road. Other tribes settled not far from the Uysyn on the territory of Kyrgyzstan in the I - V centuries AD. The fight between the tribes and wars led to the fact that in the I century AD. the tribal unions of the Uysyn decayed. Since the end of the V century to the beginning of the VI century the territory of Kyrgyzstan belonged to the state of the Ephthalites, which included the territory of Afghanistan and eastern Iran. The collapse of the state of the Ephthalites coincided with the formation of the Turkic Khanate in Altai in the VI century. In the VI-VII centuries the territory of Kyrgyzstan joined the Western Turkic Khanate, and in the VIII-IX centuries it became the part of the Karluk Khanate. In the X-XII centuries the territory of Kyrgyzstan was joined the State of the Karakhanids. During that period, in the Chu, Talas and Issyk-Kul valleys many cities appeared. In the Fergana valley the cities continued to multiply. At that time Burana Tower, the Mausoleum of Shakr Fazil and Uzgen, the architectural complex, were built. During this period Islam became the official religion. In the middle of the XII century the state of the Karakhanids was conquered by the Kidan people – Tungus and Mongol nomads from Eastern Mongolia. From that time the destruction of villages and towns began. In 1219 the hordes of Genghis Khan invaded the Tien Shan, and the rule of the Mongols was established. The territory of Kyrgyzstan joined the Chagatai Ulus. In the 60s of the XIII century the Mongolian empire collapsed, and a new independent East Central Asian state, which was led by Hyde Khan, appeared. That period was a time of stabilization of the inner life, currency reform and trade restoration. In the 60s of the XIV century the East-Central Asian state was divided into two parts, and the territory of Kyrgyzstan was annexed to Mughalistan. In the XV century as a result of combining the Kyrgyz tribes the merge of all Kyrgyz people occurred. At the end of the XV century the Kyrgyz Khanate, headed by Akhmed Khan, appeared. 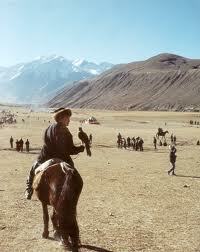 Later the Kyrgyz spent half a century in the war, fighting off attacks of the Moguls, Uzbeks and Kalmans. At that time the union of the Kyryz and Kazakhs became a union, directed to prevent the raids of the Moguls and Uzbeks. During the century since the middle of the XVII century, the Kyrgyz stubbornly fought against the Kalman feudals. The result of the Kyrgyz war in 1747-1749 was the destruction of the Kalman power in Kyrgyzstan. Kyrgyzstan became fully independent. At the end of the XVIII century Kyrgyzstan established the diplomatic relations with Russia on the basis of the embassies. Having used the constant wars between the feudal lords and tribal strives of the Kyrgyz, the Kokand khanate, starting from the 60s of the XVIII century until the early decades of the XIX century, gradually captured the whole territory of Kyrgyzstan. The territory of Kyrgyzstan was surrounded by the chain of forts with the garrisons from Kokand, including Pishpek, Kara-Balta, Tokmak, Ak-Suu, Karakol, Djumgal and others. 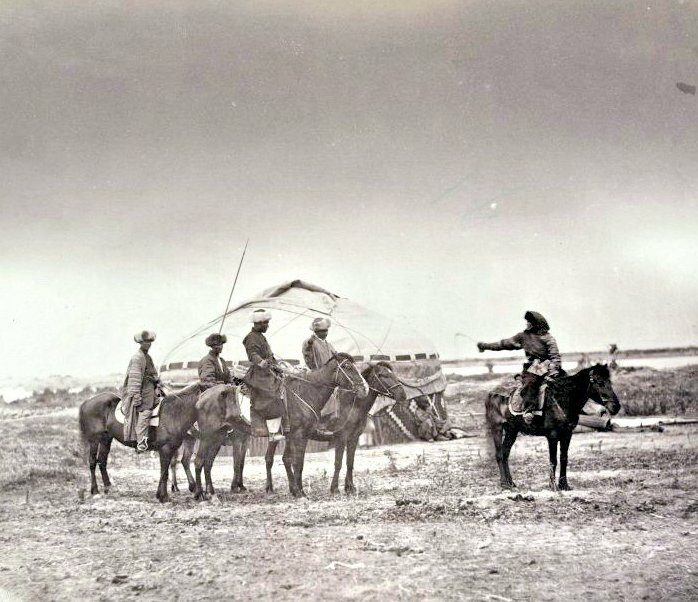 The Kyrgyz rebelled against the yoke of the Kokand khans, constantly fighting against the invaders. There were uprisings in different regions of Kyrgyzstan and at different times. In the 50-60s of the XIX century the northern and central regions of the Kyrgyz Republic joined Russia on a voluntary basis. In 1876 together with the abolition of the Kokand Khanate formation of the Fergana region, the southern part of Kyrgyzstan joined Russia. In 60-80 years, the migration of Russian peasants in Kyrgyzstan began; they established settlements in the Chu and Talas valleys and near the Issyk-Kul. In 1917-1918 the Soviet power was established throughout the territory of modern Kyrgyzstan. In 1924 the Kara-Kyrgyz Autonomous Region was a part of the Russian Soviet Federative Socialist Republic (RSFSR), later it was renamed into the Kyrgyz Autonomous Region, which in 1926 became the Kyrgyz Autonomous Soviet Socialist Republic (KASSR) within the RSFSR. In 1936, in accordance with the Constitution of the USSR, the KASSR became the Kyrgyz Soviet Socialist Republic (KSSR). In the process of the territorial and administrative settlement, the boundaries between the neighboring states were defined more clearly. The administrative and territorial changes also concerned the Kyrgyz SSR, the composition of the populated areas changed. In 1991, as a result of the collapse of the USSR, Kyrgyzstan became independent. The Constitution of the Republic of Kyrgyzstan was adopted on the 5th of May, 1993.